AGL-C8126 ...... ...... Set of 12 cones & 6 x 100 cm poles. AGL-C82010 ...... ...... Set of 20 cones & 10 x 100 cm poles. 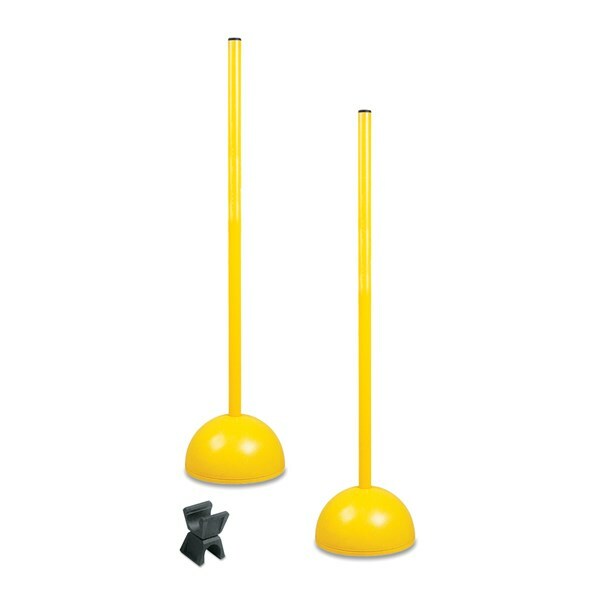 AGL-C82412 ...... ...... Set of 24 cones & 12 x 100 cm poles. AGL-C812650 ...... ...... Set of 12 cones & 6 x 50 cm poles. AGL-C8201050 ...... ...... Set of 20 cones & 10 x 50 cm poles. AGL-C8241250 ...... ...... Set of 24 cones & 12 x 50 cm poles. AGL-C2126 ...... ...... Set of 12 cones & 6 x 100 cm poles. AGL-C22010 ...... ...... Set of 20 cones & 10 x 100 cm poles. AGL-C22412 ...... ...... Set of 24 cones & 12 x 100 cm poles. AGL-C212650 ...... ...... Set of 12 cones & 6 x 50 cm poles. AGL-C2201050 ...... ...... Set of 20 cones & 10 x 50 cm poles. AGL-C2241250 ...... ...... Set of 24 cones & 12 x 50 cm poles. 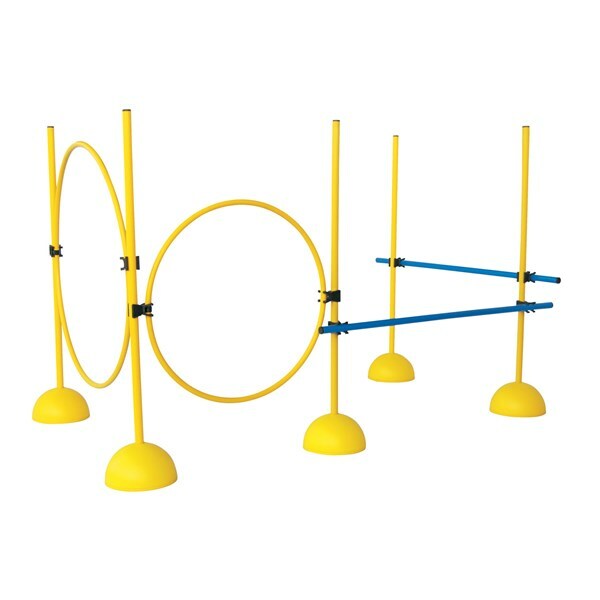 Multi-purpose training hurdles are available in different sizes, which can be used as obstacles, hurdles or for agility training purposes for seniors and juniors. All plastic poles 25 mm (dia.) in yellow colour. MPTH-60 ...... ...... 2 x 15" cones, 2 clips, 2 poles x 60 cm & 1 pole x 120 cm. 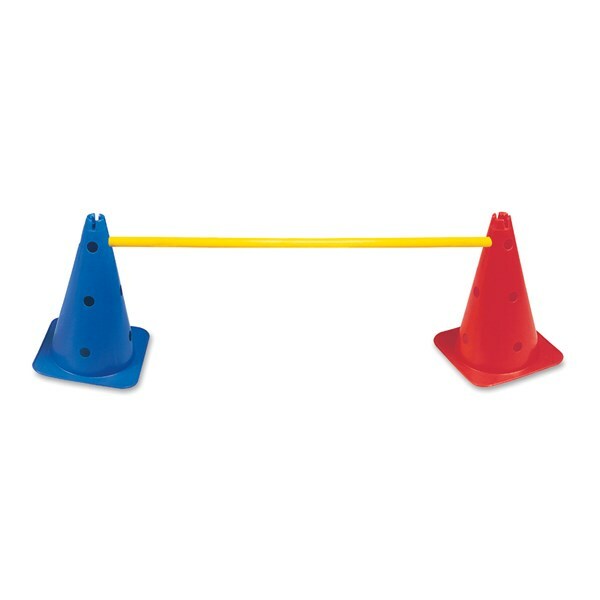 MPTH-80	 ...... ...... 2 x 15" cones, 2 clips, 2 poles x 80 cm & 1 pole x 120 cm. 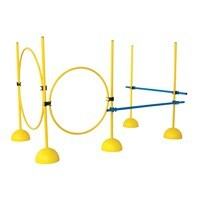 MPTH-100 ...... ...... 2 x 15" cones, 2 clips, 2 poles x 100 cm & 1pole x 120 cm. Each set consists of 20 pc. 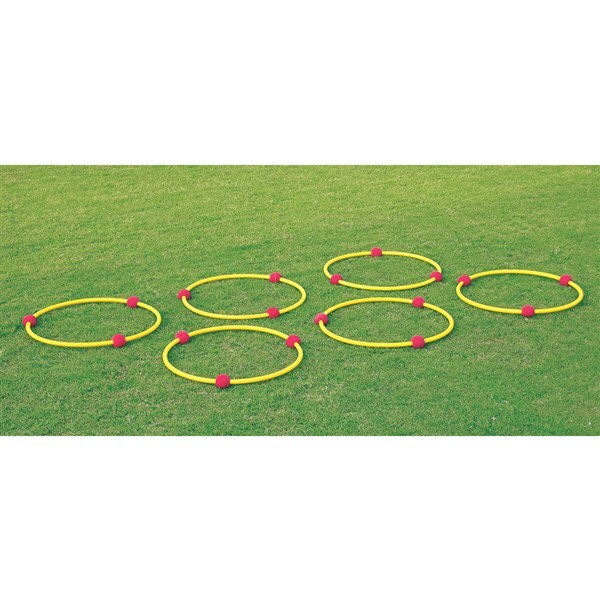 15" hat shaped plastic cones and 10 pc. 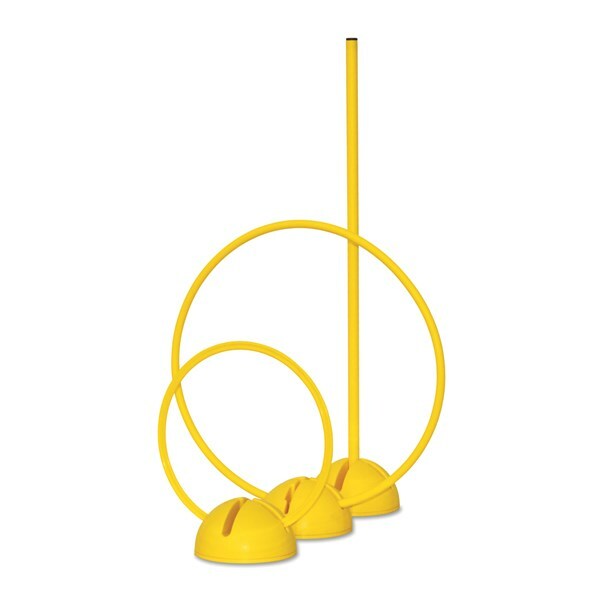 100 cm (25 mm) yellow PVC poles. 9" high cones, each with 3 holes for location of poles at different heights. 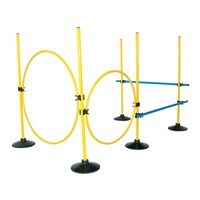 Each set contains 10 cones and 5 x 100 cm (25 mm) long plastic poles in yellow colour. Training hurdle for quick knee lift, stepping, agility drills, running drills and plyometric jumps. Maximum height of cone is 6". 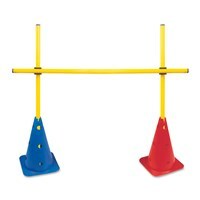 The plastic poles can rest on the cone at different positions to attain four height levels to train different age groups. 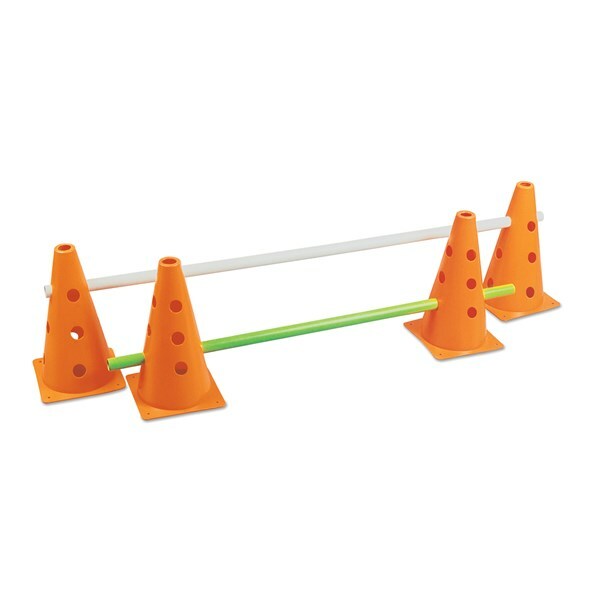 Spare Cones and Bars are also available. 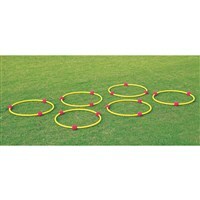 MHAGL-C126 ...... ...... Set of 12 cones and 6 poles. MHAGL-C2010 ...... ...... Set of 20 cones and 10 poles. MHAGL-C2412 ...... ...... Set of 24 cones and 12 poles. Comprising one yellow impact resistant base made of plastic. These can be filled with sand or gravel and sealed with the bung provided. 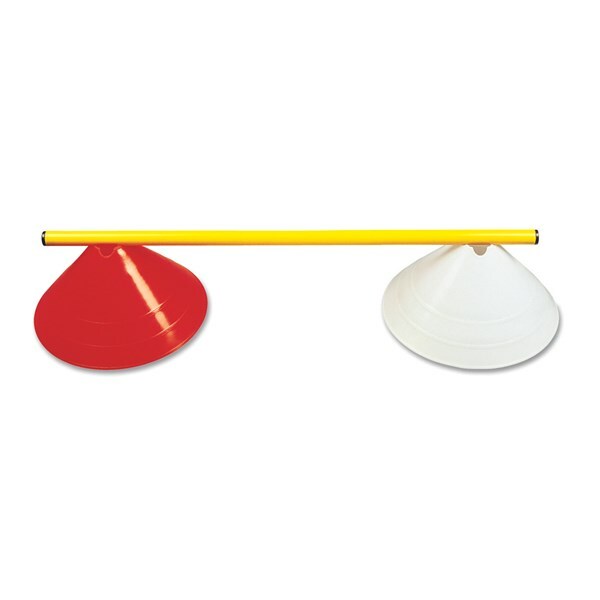 Poles are available in 80 cm or 100 cm size. Different size pipes are also available on request. DPY-BO ...... ...... Base only. DPY-CLIP ...... ...... Rotating Clip only. 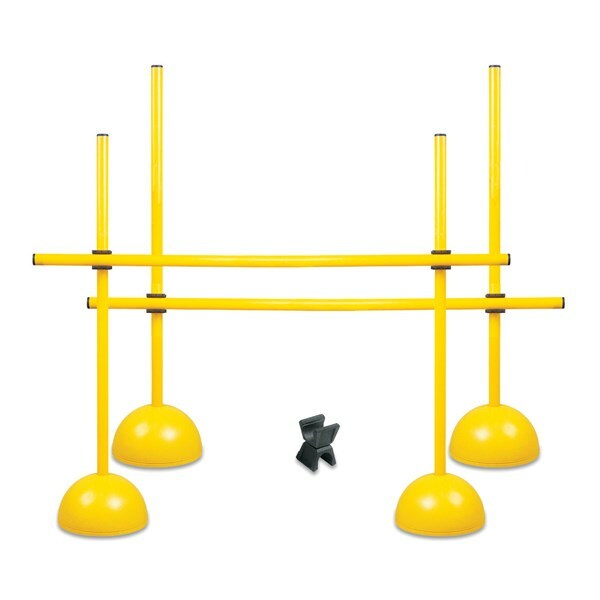 VFCK-100P12 ...... ...... 8 bases, 12 yellow poles 170 cm long, 8 joining clips. 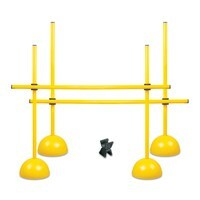 VFCK-100P15 ...... ...... 8 bases, 15 yellow poles 170 cm long, 8 joining clips. VFCK-8RB12P ...... ...... Without bag. VFCK-8RB12PWB ...... ...... With bag. 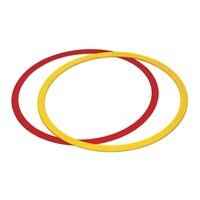 MPAS-6BP15P12C ...... ...... Base in this set is made of High-impact Plastic. 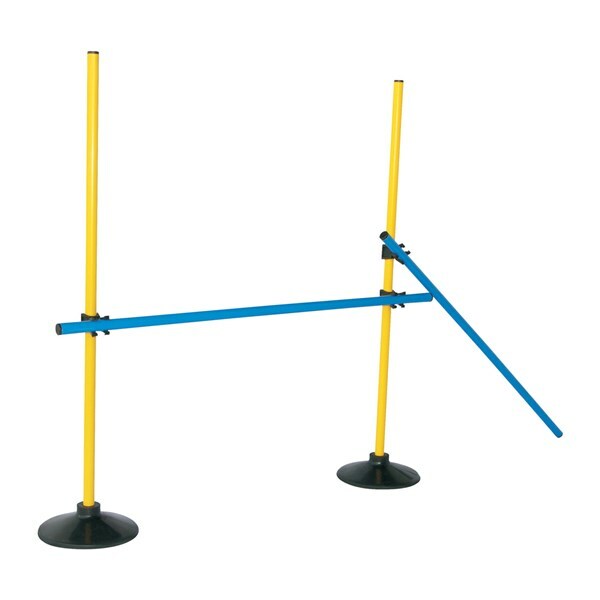 An ideal product to improve stepping and different level jump by simply adjusting the poles in different directions and at different heights. 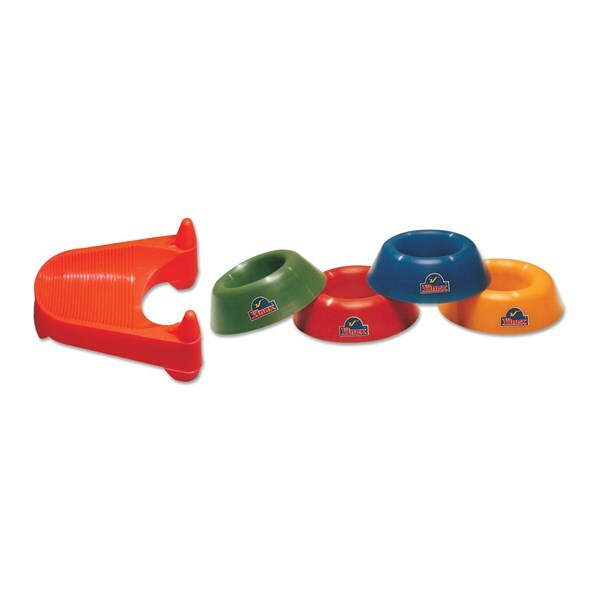 Set comes with 3 clips, 4 poles and 1 Heavy Duty base. Can be filled with sand. SJT-3P50 ...... ...... Set with 50 cm poles. 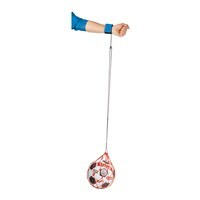 SJT-3P80 ...... ...... Set with 80 cm poles. This is the most economical kick training system. 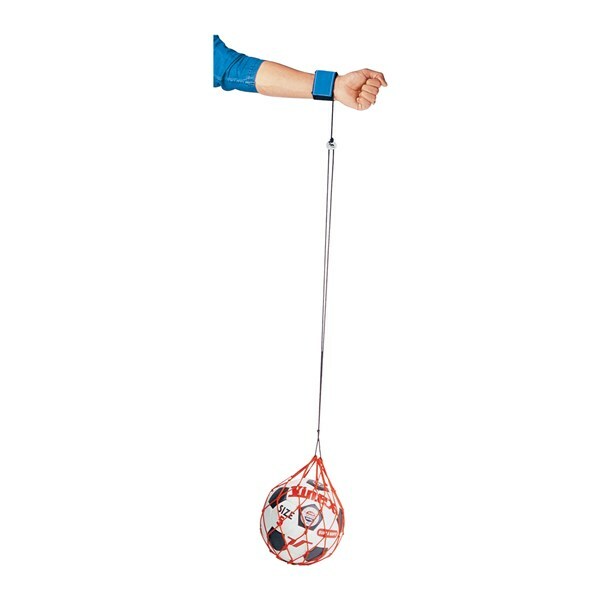 Includes hand strap, cord (adjustable with clip attached) and a net to hold ball. Note: Does not include soccer ball. 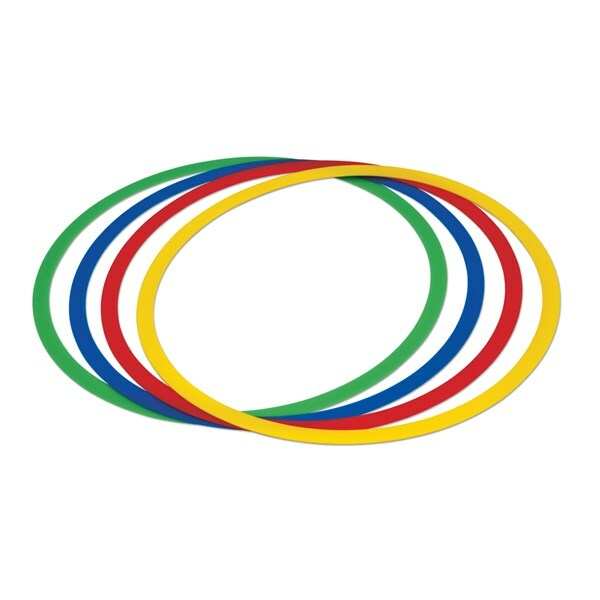 These specially designed hoops are fitted with three PVC balls. 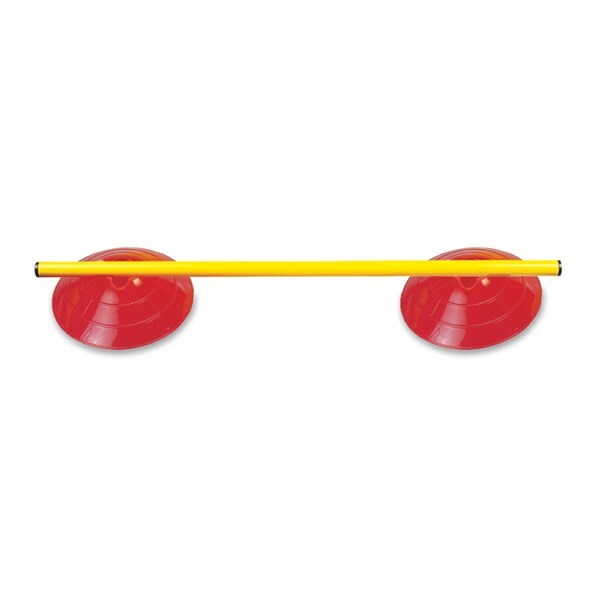 These PVC balls give perfect height required for ultimate step training. These specially designed hoops are fitted with three sponge rubber tubes. These rubber tubes give perfect height required for ultimate step training. Customized sets are also available on request. STH-P24	 ...... ...... Each piece. STH-P24S6B ...... ...... Set of 6 pieces with Bag. 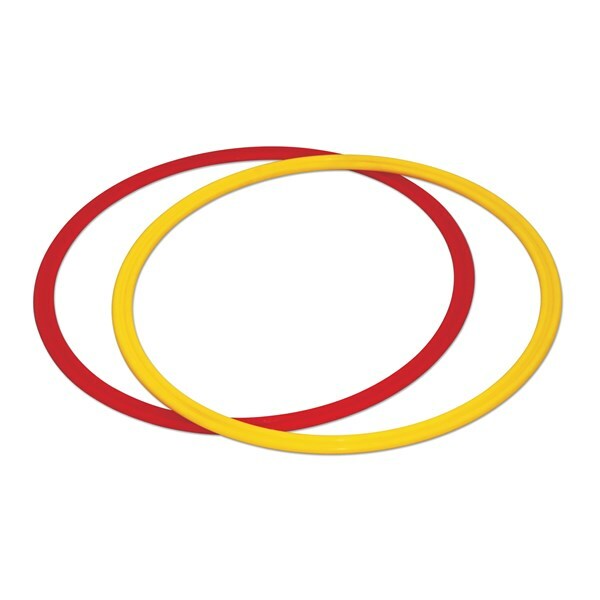 These FLAT rings are 16" (Inner diameter). Jointless moulded rings. Different patterns can be created for improving body balancing and controlling. Available in assorted colours. AGR-195S1 ...... ...... Each piece. RBT-555 ...... ...... Rugby tee made of soft PVC Vinyl. VK-11 ...... ...... Made of plastic orange. 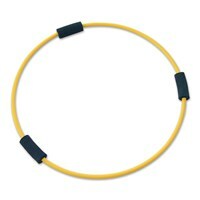 Jointless moulded flat hoops made of high quality plastic. Available in assorted colours. DPY-MBO ...... ...... Multi-Purpose Base only. 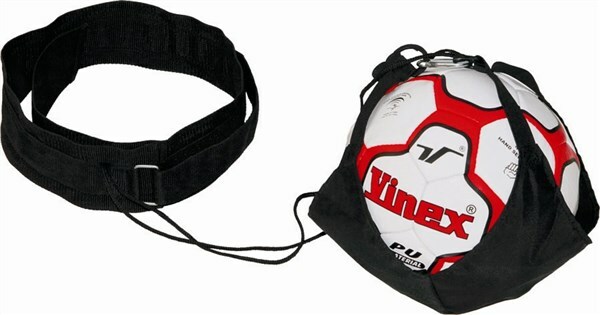 Vinex Soccer Trainer is a waist-attached soccer training device that enables the player to practice soccer hands-free without any partner. 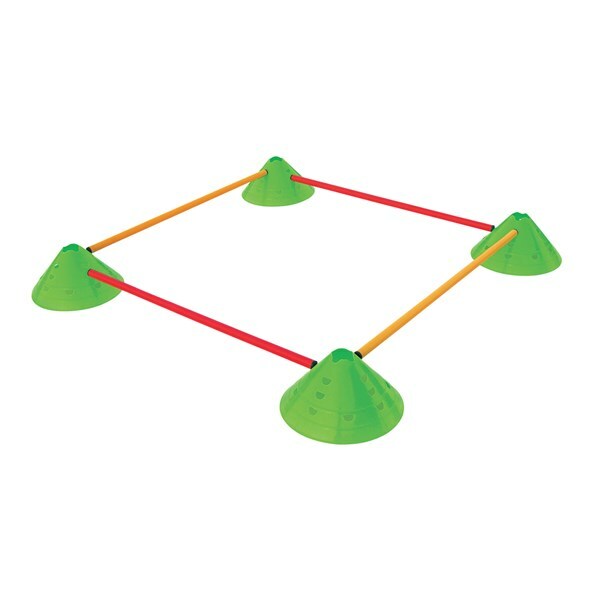 Practicing with this trainer assists players in improving kicking, trapping, blocking & juggling skills. This trainer kit includes adjustable waist belt & adjustable cord attached to a strong snap lock and polyester fabric.